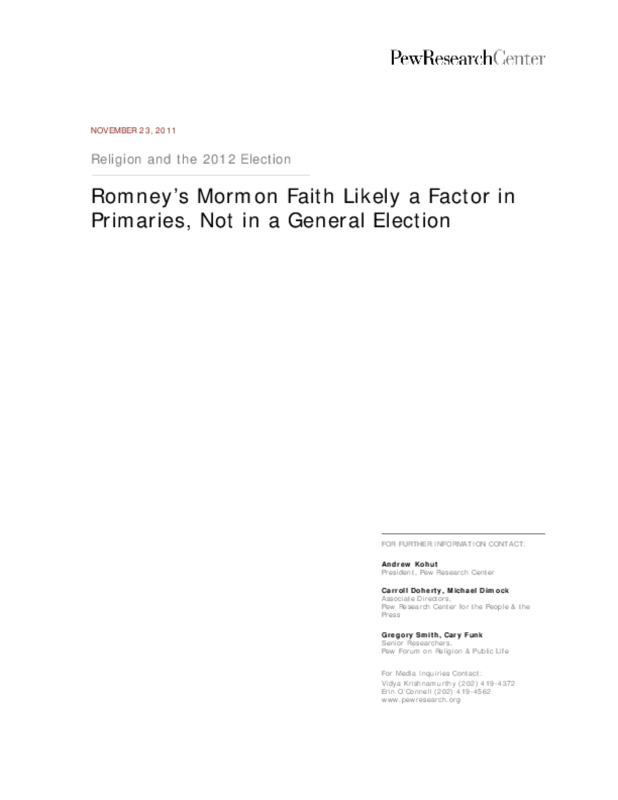 Presents survey findings about perceptions of the Mormon faith and their effect on views of the Republican presidential hopeful Mitt Romney by religion, party affiliation, and race/ethnicity. Analyzes other factors likely to affect the 2012 election. Copyright 2011 Pew Forum on Religion & Public Life.